Betternet과 ExpressVPN은 각각 꽤 인상적인 기능을 가지고 있습니다. 두 VPN 모두 Windows, Mac OS X, iOS, Chrome, Firefox 및 Android를 비롯한 많은 인기있는 전용 앱과 호환됩니다. Betternet의 가장 유혹적인 기능 중 하나는 사용자가 무료로 온라인 익명성을 즐길 수 있는 서비스입니다. Betternet은 사용자 친화적인 기능 외에, 고급 개인 정보 보호 및 익명성의 측면에서 더 많은 것을 제공하는 것 같지 않습니다. 한편, ExpressVPN은 가장 신뢰할 수 있는 VPN 중 하나로 유명합니다. Express는 라이센스 당 최대 3 대의 장치를 허용하지만 Betternet은 단 하나의 장치만 허용합니다. Express는 SmartDNS를 통해 사용자가 거의 모든 플랫폼에서 Netflix의 차단을 해제할 수 있도록 합니다. 미기록 정책은 익명성에 대한 ExpressVPN의 진정한 의지를 입증하는 반면, Betternet은 이를 보장하지 않습니다. OpenVPN이 차단 된 중국 거주자의 경우 ExpressVPN이 특히 유용할 것입니다. 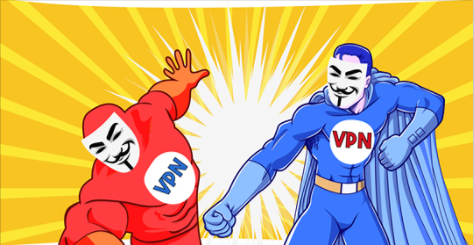 Betternet VPN has received a lot of criticism in the past few years after an academic study came out in 2016 that listed Betternet as one of the top five Android VPN apps with the most third-party tracking software. Since then, Betternet has made a few changes to the service, including the release of a paid premium plan in addition to their popular free tier.